A concrete truck got stuck in the mud on our land the other day and it rained the next day. 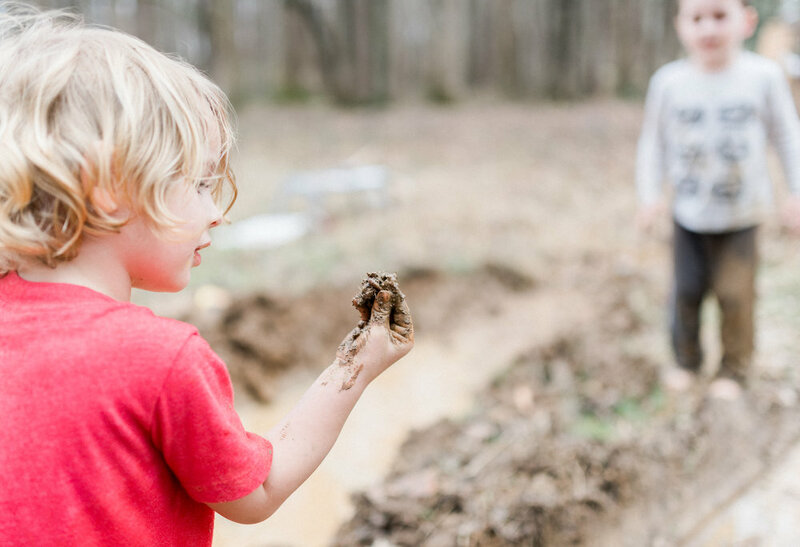 The big muddy mess ended up being a lot of fun for our little guy, Anders and his friend, Cam. 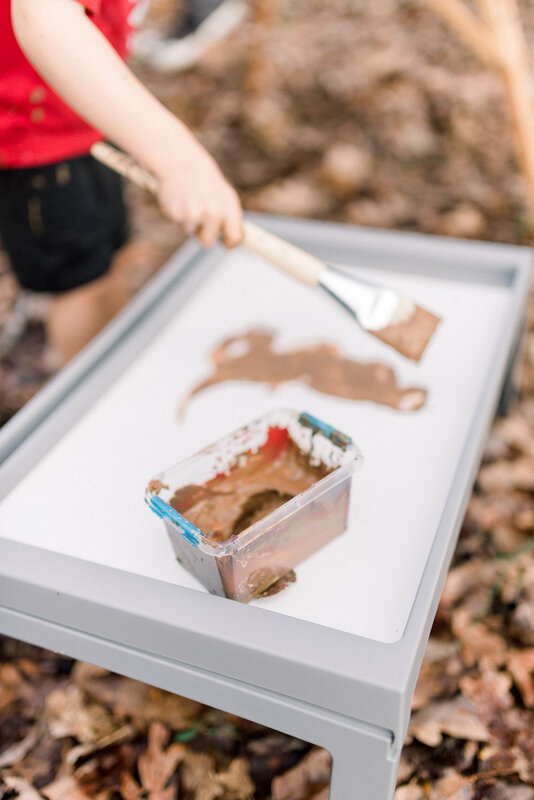 Our plan was to paint with the mud. The boys only painted about 10% of the time and played in the mud the remainder, haha. 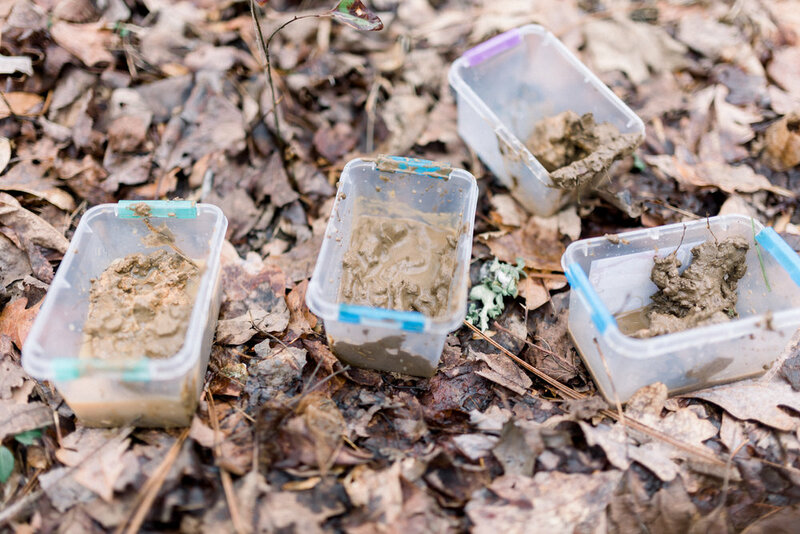 Once they had all of they could take, we headed to the creek and washed off the dirt!